I preached this homily after been inspired by the Ironman 3 movie. Go figure. Jesus journeyed to a city called Nain, and his disciples and a large crowd accompanied him. Last week I went to see the new movie Ironman 3, the story of Tony Stark, a genius billionaire who wears a metal suit which gives him super powers while shielding him from bullets, fire and explosions. 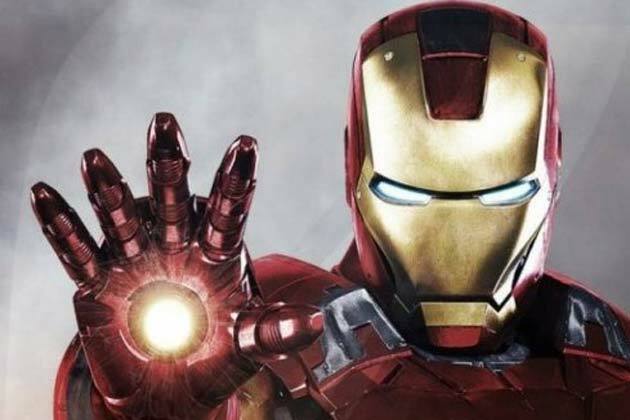 Don’t worry I will not give you any spoilers other than to say that like in the previous 2 movies we are confronted with a paradox; The same suit which Tony Stark uses to protect himself from enemies, acts as a shield against the efforts of those who love him and are trying to get close to him. Some might say it is very difficult to find deep theological insights in summer super hero movies. But the fact is the contrast between Ironman and Jesus could not pass unnoticed. Believe it or not if you think about it Our Lord Jesus is everything Tony Stark (Ironman) is not. Jesus was poor, and humble; Tony is rich and arrogant. Jesus was wise; Tony although a brilliant scientist lacks the ability to connect with others an live a normal life. Jesus was compassionate while Tony Stark is self-centered. What made Jesus so special was that although he had divine powers he was always willing to get close and touch the people who needed him; what makes Tony Stark special is just an iron suit which although giving him super powers, keeps his friends and the people who love him way. I know I’m supposed to enjoy the movies, but it stroke me how Tony Stark instead of trying to overcome the shielding effects of his Iron suit actually used it as an excuse to remain isolated from his friends. Sadly, this is a trait many of us share with Ironman. For some people the idea of pushing others away, of keeping others from getting to close, becomes a way of life. Instead of using an Iron suit, they use their bad temper, grumpiness, or even false pretenses. They think that by showing to others they are smarter, stronger or even wealthier those around them they will be kept at bay, where they belong. We can all say that we know someone like that. What is harder to admit to ourselves is that, if we think really hard, we all do this in one way or another. And by imitating Tony Stark in this specific point, we become the complete opposite of who we are supposed to be. The model of our lives, the Lord Jesus. Our Savior never wore a shield to keep others away from himself; in fact he made sure to eliminate anything which could potentially isolate him from others. In today’s Gospel we see a perfect example of this; Jesus is approaching a town, when he encounters the funeral procession of a man, been accompanied by his grieving mother. He could have very easily let them pass quietly and with deep respect for their suffering. Instead Jesus confronts what separates Him from those who needed him: The grief of a mother mourning her dead son, and death itself. This reaction must have been so shocking to his disciples that they remembered it long enough to record it in scripture. St Luke tells us that Jesus was so moved with pity by the woman’s sorrow that he approached her and said “Do not weep”, and then he turned, approached the coffin and touch it, bringing her dead son back to life! My brothers and sisters this is such a personal act, of our Lord! Bringing consolation to the suffering and breaking through the barriers of sorrow and death with this just a word and His divine touch. In our culture we are conditioned to place barriers between us and those around us. Jesus doesn’t want us to be like that. He wants us to imitate Him and break through those barriers so that we can bring his healing power to those who are suffering. He wants us to be as personal as He himself is personal. He wants us to touch, the poor and the suffering, even death itself with our own hands. Iron man is a great movie; it is filed with great action. It is a great way to disconnect our brains for a few hours. However, after the movie is over and the credits roll, we have to enter the world in which we live, the real world, a world filled with people who might be experiencing great pain and sorrows in their lives. The Lord Jesus doesn’t call us to be super heroes, he calls us to be human… just as human as he was; to walk, to talk, to touch, and to be present to be present to each other and those who need Him. Jesus calls us today to be his imitators, and he assures that been like him is much better than any iron suit or any superpower we whish we had.